After their debut album Some Things Are Beyond Therapy and the follow up We Came to Wreck Everything (both released by Metropolis Records worldwide) Ludovico Technique have stormed the music scene with their unique take on harsh, electronic, heavy music. 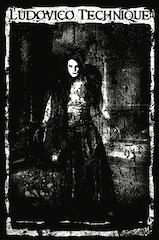 Drawing from an emotional drive to create a sound that expresses an understanding of the dark aspects of the human experience, and the depths to which man’s mind can deteriorate. 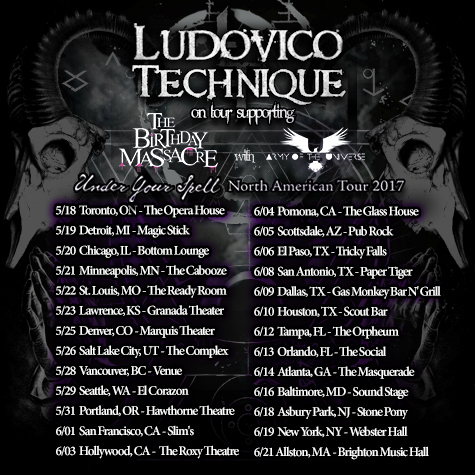 Ludovico Technique bring every ounce of the music’s emotional gravity to live shows in full force. Delivering performances that fully reflect the intensity of the sound itself in the form of a physical, visually stimulating stage show. Under a wash of rhythmic lights, songwriter/vocalist Ben V- unleashes visceral energy into every song to create a dynamic audio/visual live experience for each viewer. Ludovico Technique are a passionate force all their own in every performance; keeping focus on the artistic integrity and expressive sincerity that continuously defines the music.